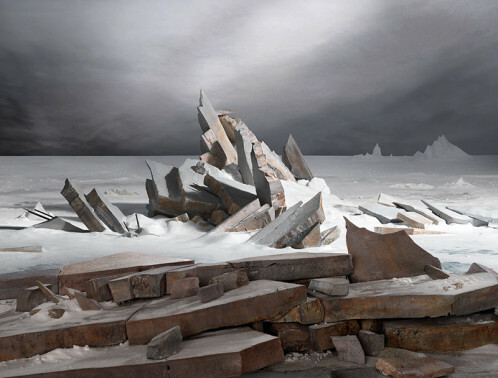 Lisson Gallery is presenting the American artist and photographer James Casebere in its Milan location. 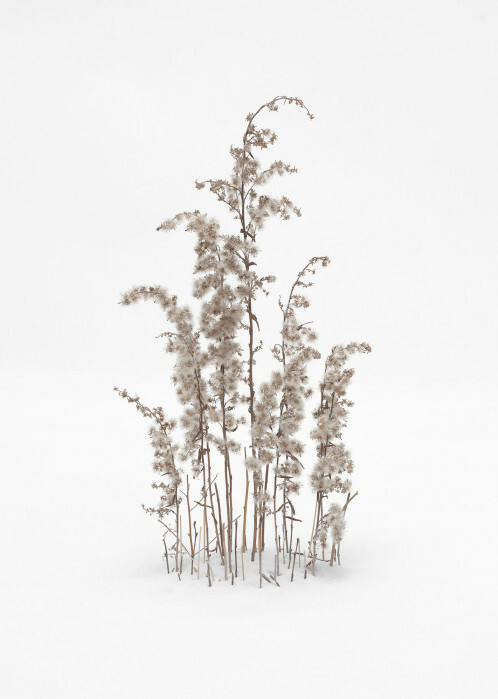 For this new works series, all photographs have previously been staged in miniature in Casebere studio. Light, material, ambiance are all built and performed by the artist. From the Atlantic slave trade with ‘Four Flooded Arches’ to the Reichstag’s bunker with ‘Flooded Hallway’ passing by a contemporary critic of globalization through captures of Richard Neutra architecture with ‘Dorm Room’, Casebere suggests a vision on wide and ghost spaces. For his new series, the main theme is taken from romantic masters, with Caspar David Friedrich ‘Sea of Ice’ as a main source of inspiration. ‘Sea of Ice’ and ‘ Trees and Bushes in the Snow’ are directly inspirited from the masterpiece of the romantic painter. Although, instead of rock and snow the setting is made out of found materials. Vegetation from the artist’s garden and bicarbonate of soda from his kitchen form therefore the ambiguous scene of these works.